In this special series, we will be covering the evolution of the real estate industry from the 1960’s to present day. These posts are based on the industry experience of Coastal Premier Properties Broker, Tom Tucker. It is our hope that by retelling the history of real estate in San Diego County, we will be able to trace the changes at a social, economic, and technological level that have led to today’s current industry profile and the results that have occurred for consumers, for better and for worse. 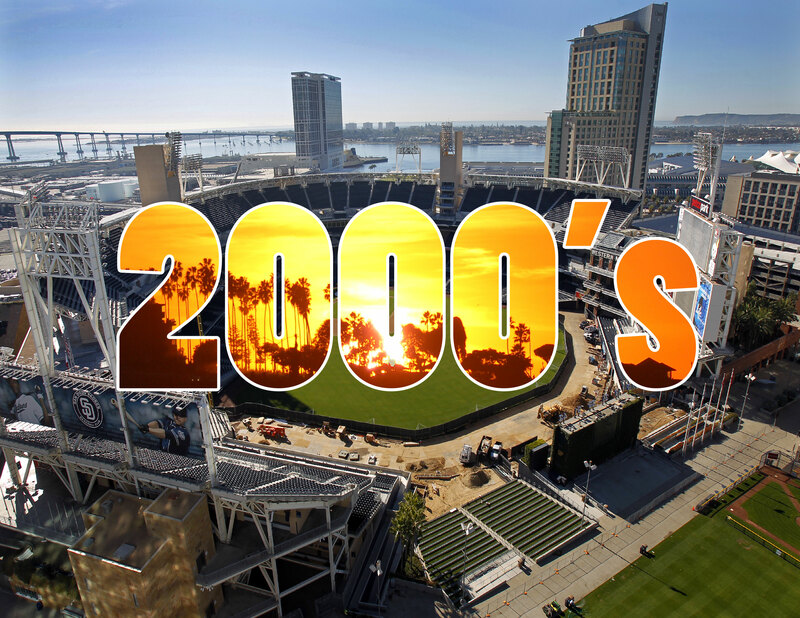 Click here to read about San Diego in the 1960’s, 1970’s, 1980’s, 1990’s, and 2000’s. Five years into 2010 and the industry is still rapidly changing. With so many technology companies racing to be the first to deliver the new, most-cutting edge product and society’s reliance on this type of consumerism, real estate agent’s have been forced to adopt a cutting-edge approach as well. The agent who responds the fastest and has the best tools while still providing the best service at the best price, generally wins. Consumers are now used to being able to shop around for a “product” and that approached has dramatically changed the real estate game. On a consumer level, the introduction of third-party sites at the beginning of the decade, sites like Zillow, Trulia, Homes.com, and more, have changed how the public gets their information and what their relationship with their agent is. Consumers have access to a tremendous amount of information about the homes they wish to buy or sell. Not only can see what their neighbor’s home sold for, they can look at high-res pictures and videos of a property, find out when the open house will be, see how long a property has been on the market, and get up to date information about schools, crime, and more. This wealth of information that is available to consumers at no cost has led to some to question what role real estate agents will play in the future. This incredible amount of availability, has a dark side, though, one that ensures the place of real estate agents in years to come. The data that consumers receive is not pure. It’s often incorrect, muddied, or unclear. The stack of paperwork and disclosures that a buyer and seller must complete is often overwhelming and it’s often difficult to understand what all those contracts are actually saying. More than ever, consumers need real estate agents to help them navigate the wealth of information they’ve been granted. The future of real estate looks bright. People are buying properties without ever seeing them, simply by watching video or looking at photos their agent sent. International investments are on the rise. People can review offers and sign contracts from their mobile phone, on a lunch break, or on vacation. New laws protect consumer interests. “Buyer Beware” has become utterly archaic. Disclosures have shifted the nature of liabilities, allowing people to be more confident in the person they’re doing business with and what they’re getting out of the deal. Simply put, people are able to transact real estate deals in ways that would have been unimaginable fifty years ago. It’s both easier and harder to buy your dream home, today, but it’s exciting nonetheless. 2010: Financial Literacy Outreach. In April 2010, the California Department of Real Estate (DRE) launched its Financial Literacy Outreach Program. In an effort to educate all Californians to fully understand the complexities of real estate transactions, from school-aged kids to senior citizens, the DRE through this program and by partnering with other government agencies dedicated to Financial Literacy, will promote a wide range of activities, resources, workshops and other important events. 2010: SAFE Act Becomes Law. The Federal Secure and Fair Enforcement (SAFE) Mortgage Licensing Act of 2008 became law in California with the enactment of Senate Bill 36. 2010: AB 260 was part of an ongoing effort by the Legislature to tighten its regulation of mortgage brokers and strengthen consumer protections following the mortgage crisis. AB 260 (2009) placed restrictions on high cost mortgages including limiting the use of prepayment penalties, yield spread premiums and negative amortization. The bill also codified that mortgage brokers are fiduciaries of the borrower. Brokers are now prohibited from steering a borrower into a loan that is more beneficial to the broker than the borrower. 2011: SB 931 prohibits a lender from pursuing a deficiency judgment against the borrower/homeowner in those cases where the lender consents to a short sale. Difficult economic times brought about a vast number of short sales – sales in which the lender agrees to accept less than what is owed from the homeowner in the sale of the residence. Prior to the enactment of SB 931, borrowers were potentially subject to deficiency judgments which would require them to pay the difference between the loan amount and the agreed short sale price. 2013: DRE Becomes the Bureau of Real Estate (BRE). 2011: Blackout darkens much of San Diego. 2013: Edward Snowden, a former CIA employee, comes forward and admits that he is the source of the recent NSA leaks. 2014: The Affordable Care Act goes into effect. 2015: The fight over Net Neutrality takes center stage. In this special series, we will be covering the evolution of the real estate industry from the 1960’s to present day. These posts are based on the industry experience of Coastal Premier Properties Broker, Tom Tucker. It is our hope that by retelling the history of real estate in San Diego County, we will be able to trace the changes at a social, economic, and technological level that have led to today’s current industry profile and the results that have occurred for consumers, for better and for worse. 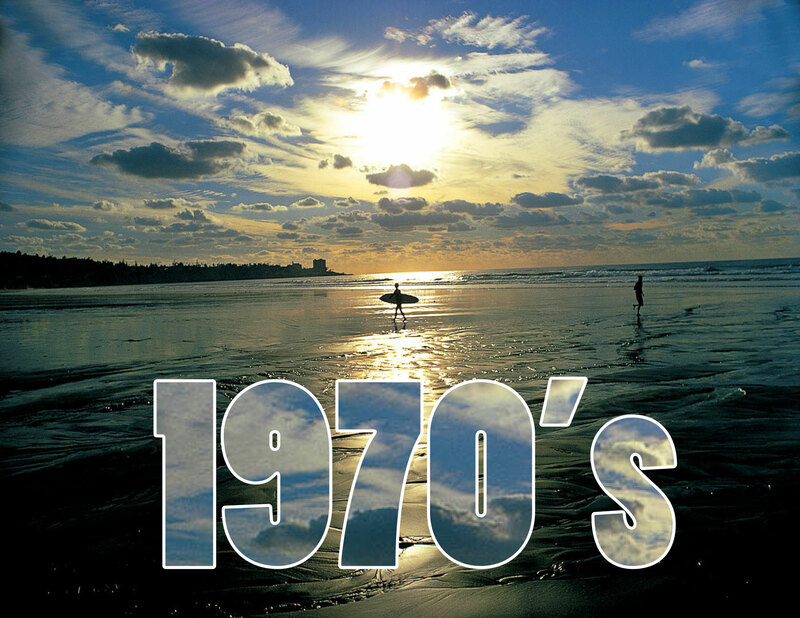 Click here to read about San Diego in the 1960’s and 1970’s. Overall, in the 1980’s, technology was on the rise. Offices saw their first fax machines, pagers, and cellphones. The speed of data flow increased as boards were able to fax information about the newest listings to their members and people were able to fax documents to each other. However at this time, signatures on faxes weren’t considered to be legally binding. Early adopters started to have carphones and most people had pagers. The speed of the business was starting to pick up. The late eighties saw the first computers appearing in the office, in the form of word-processing machines. By the mid-80’s the local boards have merged into just a handful, a model we still have today. Also the 80’s saw an increase of a focus on agent information and disclosures. When an agent listed a home, they had to count all the rooms themselves, measure the spaces, and come up with all pertinent information about the property from inspecting it. Today, we have stored data to work off of. People were qualified to purchase homes by their agent. Today, we recommend that anyone interested in purchasing a property meet with a lender to be pre-approved. There was less of separation of specialties and more of a focus on the agent being able to wear many hats including inspector, loan officer, etc. 1981: Regulation of Time-Share Offerings. With the subsequent enactment of Assembly Bill 2252 on January 1, 2005, DRE, in collaboration with the time-share industry, reformed the time-share law streamlining the qualification process while improving consumer protection. 1980: The San Diego Trolley, first line in the city’s new light-rail transit system, is dedicated. 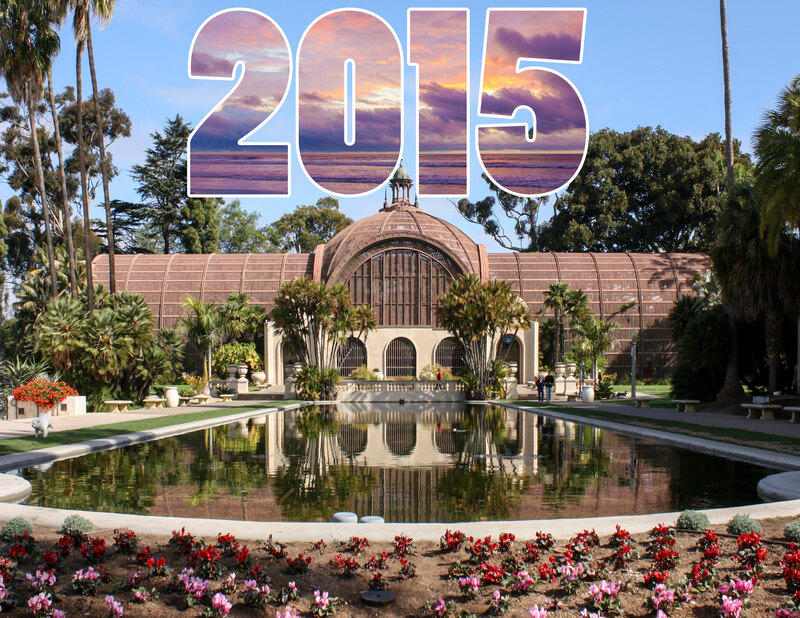 1982: After a massive fund-raising drive to rebuild it, a new, three-theater Old Globe complex opens in Balboa Park. 1984: Padres win National League Pennant; World Series games first played in San Diego. 1988: San Diego hosts its first Super Bowl. 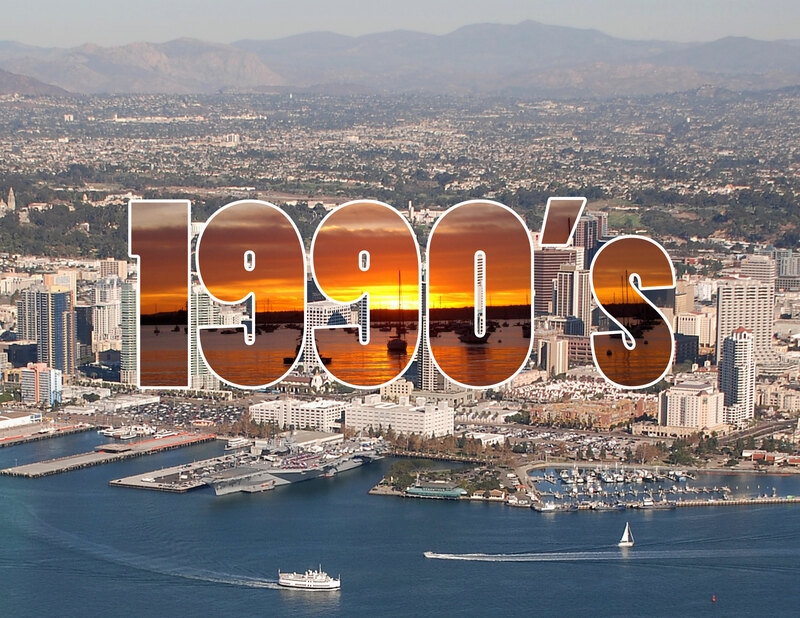 1989: San Diego Convention Center opens. 1981: Sandra Day O’Connor is sworn in as the first woman Supreme Court justice. 1989: Exxon Valdez oil spill. Join us next month as we dive into the history of the 1990’s and take a look at what changes in that decade shaped the evolution of the real estate industry. In this special series, we will be covering the evolution of the real estate industry from the 1960’s to present day. These posts are based on the industry experience of Coastal Premier Properties Broker, Tom Tucker. It is our hope that by retelling the history of real estate in San Diego County, we will be able to trace the changes at a social, economic, and technological level that have led to today’s current industry profile and the results that have occurred for consumers, for better and for worse. 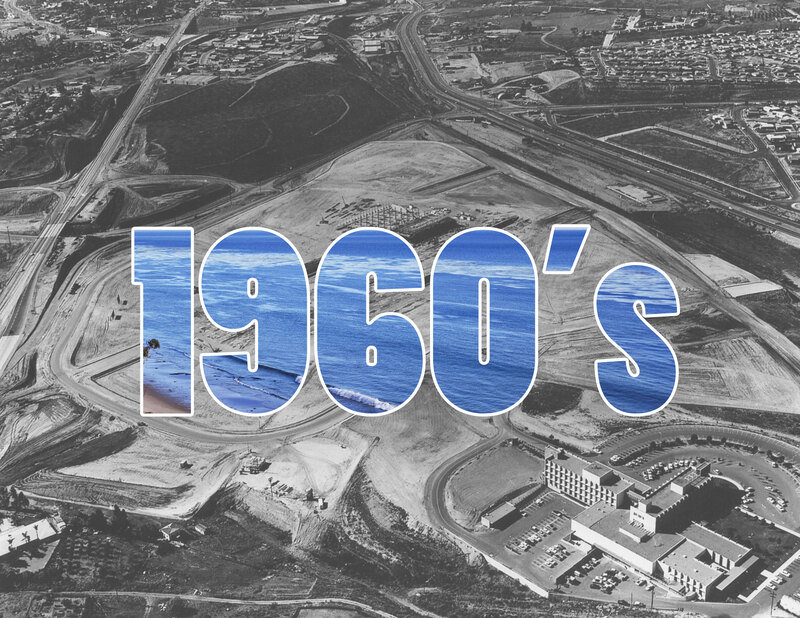 Click here to read about San Diego in the 1960’s. Overall, in the 1970’s, we began to see the emergence of the structures and the protocols that uphold our industry today. Perhaps most significantly, we started to see the first real cooperation between the different local boards, allowing real estate agents affiliated from other boards to obtain copies of the listing books. You were able, if you wanted to take a trip down to the board everyday, to get copies of the newest listings as soon as they hit “the market”. These came in the form of tear-sheets: small slips of papers that contained the bare bones facts about the property. The following week that same property would be available in page form with its photograph for inclusion in the books. The first real “go-getters” of this decade, were the ones who took it upon themselves to go and get the tear-sheets before the pages were ready for the book. This is the first indication that the industry’s engine was beginning to rev. For consumers, the 1970’s marked an era of major progress. Franchises began to emerge during this decade. Century 21, Red Carpet, ERA, are just a few examples of the company franchises that started to emerge in contrast to the previous model of the independent brokerage. The emergence of these franchises, where one company owned multiple offices and thus controlled a “territory”, was a major impetus in the standardization of the language of our forms. These franchising companies had access to corporate attorneys, who worked with state and national boards to introduce the idea of using standardized forms in real estate transactions. Prior to the 1970’s, there were many different styles and languages used in each form and nothing was standardized from brokerage to brokerage or board to board. By the end of the decade, standard language for standard forms had appeared and everyone had mutually agreed to use them. During this decade, disclosure forms began to appear. Previously, a contract was about two pages long. What a difference from today’s industry where a file can amass quite a stack of paperwork. During this industry, consumers also began working exclusively with one agent, who would show them properties to buy that were listed by other agents. This was different from the shopping model of the 1960’s where a buyer would call an agent to inquire about their inventory. 1970: Under Business and Professions Code 10004, the Division of Real Estate was renamed Department of Real Estate (DRE). 1978: Proposition 13 is approved. In June of 1978, California voters approved Proposition 13, amending the State Constitution so that the maximum annual tax on real property is limited to one percent of ‘full cash value’ (market value) plus a maximum of two percent annual inflation factor based on the Consumer Price Index (CPI), as calculated by the California Department of Industrial Relations. (Sections 51 and 110.1) An additional sum is allowed to pay for indebtedness on affected property approved by voters prior to the passage of Proposition 13. Also, selected new indebtedness is allowed, only by a two/thirds vote of the residents affected. 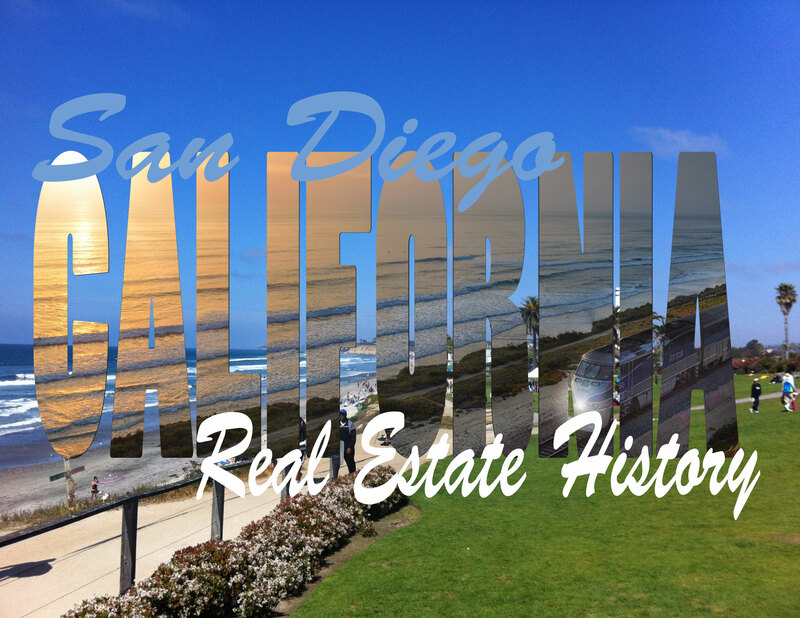 1970: San Diego becomes California’s second-largest city. 1973: Point Loma College is established. 1975: Mayor Pete Wilson launches plans for a dramatic redevelopment of downtown San Diego. 1978: World-famed Old Globe Theatre in Balboa Park burns to ground in arson fire. 1979: U.S. establishes diplomatic ties with mainland China for the first time since Communist takeover in 1949. 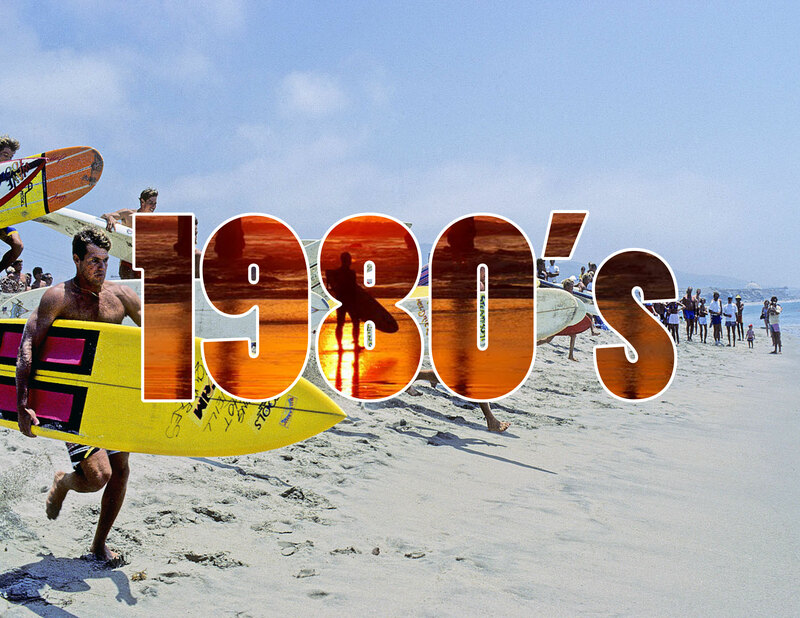 Join us next month as we dive into the history of the 1980’s and take a look at what changes in that decade shaped the evolution of the real estate industry.